That you’re on this page means you have some interesting answers to this question. For you, college promises thought-provoking interactions, academic challenges, and life-changing experiences. It means opportunities to push yourself in uncharted directions, to take bold intellectual risks, to try out new ways of thinking and acting in the world. That you want to be an Honors student means you want an education that engages your mind and body, one that confronts you with difficult problems and empowers you to build your own solutions. The HPU Honors Scholar Program offers an education you can embody, one that responds to your interests and passions. We believe students should apply their course work to real-world issues. They should have the time and space to tinker with ideas and materials, to figure out what works and what doesn’t. They should practice reflecting on their experiences and presenting their ideas in public. So we are committed to delivering a liberal arts education that will teach you the knowledge and habits of mind to enrich your inner life and strengthen your problem-solving and communication skills. Our curriculum will introduce you to a broad array of inquiry strategies and put you in touch with gifted teacher-scholars. These professors will engage you in critical thinking, analytical writing, reflective practice, and collaborative project building. And outside of class, you will encounter cultural, scholarly, and social events designed to prompt introspection and inspire creativity. 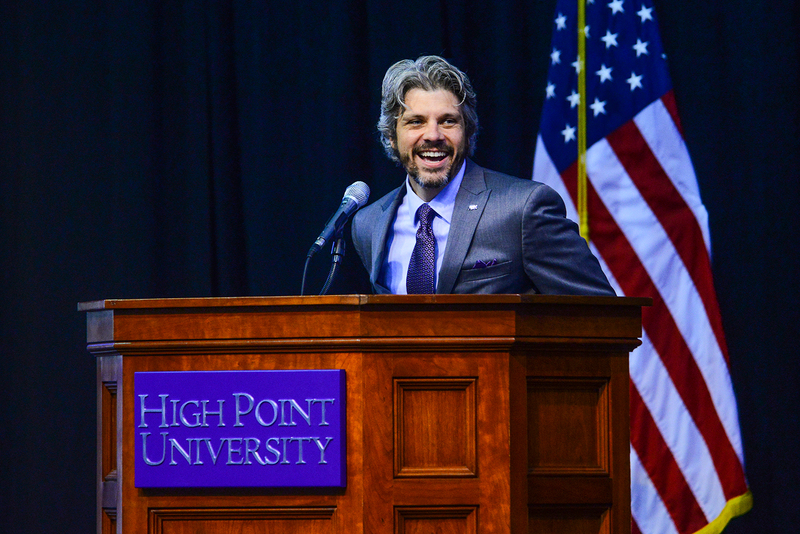 Joining the HPU Honors Scholar Program is a bold statement about the purpose of college. I invite you to make that statement and to connect with a dynamic, supportive group of students and faculty. You will learn what it takes to ask tough questions and to pursue important answers. Yes, your grit will be tested, your ideas debated. You will be challenged in ways that will be both scary and exciting. But all of that is what you come to college for! Continue reading for more information, and remember that if you have questions, you can contact me at wcarpent@highpoint.edu. I’m looking forward to working with you! 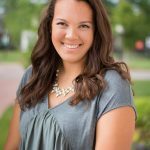 To be considered for membership into the Honors Scholar Program as a new student, you must first submit your High Point University undergraduate admissions application. Then, please complete the Honors Scholar application through Slideroom. Priority is given to applications received by February 1. The final application deadline is March 1. 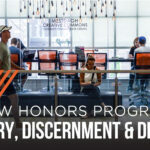 Admission to the Honors Scholar Program is limited to 100 students. Students who are accepted and join the Honors Scholar Program for the class of 2023 will receive a $3,000 per year scholarship, which can be added to any other scholarships awarded. For students looking to join the program as sophomores, look here for more information.